Fleet operators across the UK are being offered the chance to update their health and safety practices at an upcoming event being organised by the Health & Safety Executive (HSE) in partnership with the Freight Transport Association (FTA). 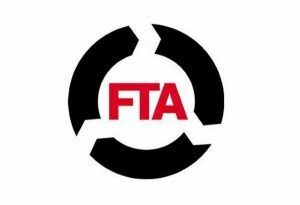 Set to take place at the FTA's Safety in Logistics Conference on October 12th, Bruno Porter of the HSE will be in attendance to discuss the latest best practice in safeguarding drivers, staff and the general public. The event will cover a range of areas, including enforcement of load safety by the DVSA, new guidance regarding the coupling and uncoupling of trucks, new sentence guidelines for corporate manslaughter, and much more. It promises to provide key insight into the importance of proper health and safety guidelines both in the workplace and for drivers when out on the roads. Places are still available for interested parties to sign up to head along to the conference, with the FTA encouraging all members and non-members alike to brush up on their health and safety practice by attending. The conference is being sponsored by Brigade Electronics, Volvo Trucks and Lytx DriveCam. It aims to highlight not only the current issues facing organisations in adhering to health and safety best practice, but also the many future challenges that corporations are likely to face.